As the assistant superintendent in the Hopewell Area School District in Pennsylvania, I have seen making in our school district evolve over the last four years. What started as one empty classroom in one of our buildings has now turned into a dedicated space for making. We’ve expanded each year to add more spaces and opportunities for students to engage in makerspace activities in all our buildings. This shift occurred in small steps, starting with just the purchase of a few gallons of paint. Since then, we’ve continued to build our skills and our resources. Changing the look of our learning spaces led to the development of imaginative thinking and new learning opportunities for students. 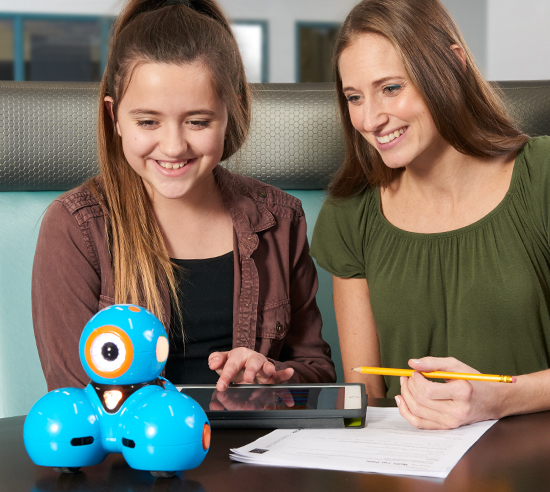 It has been an ever-changing process, as new techniques and technologies are continually providing meaningful opportunities for students to design, create, and make in the makerspace. Maker learning happens throughout our schools, in makerspaces, in classrooms, and even in hallways. The infusion of making has spread into different subject areas and across grade levels, increasing access for all students to try their hand at making. With so many possibilities for maker tools and resources, we were ecstatic to get the chance to try out the Demco Maker Collection with Challenge Guide. We introduced these materials with a visit to our elementary makerspaces, which serve students in grades K–4. The variety of makerspace activities and resources provided choices for students as they tried new tools and reinvented with familiar ones. As educators, we want tools that are engaging for students and easy to use. We want well-organized resources that provide both guidance and options for instruction — the Challenge Guide offered both. Our teachers were able to easily select materials, choose from the lessons, and implement making right away. The binder provided reproducible student guides for teachers who wanted more structure and extensions for those looking to expand student learning, all organized with tabs and categories for easy teacher use. The student guides also incorporate opportunities to write and reflect, which support literacy development as well as maker skills. The challenges themselves reflect important components of the design-thinking process as they ask students to brainstorm, design, seek feedback from others, and self-evaluate. Our teachers loved that the guide included templates for students to plan and think, as these skills are emphasized within our curriculum. “The templates within the guide provided a way for my students to recognize that their written plan and revisions were an important part of the overall design process,” explained one third grade teacher. 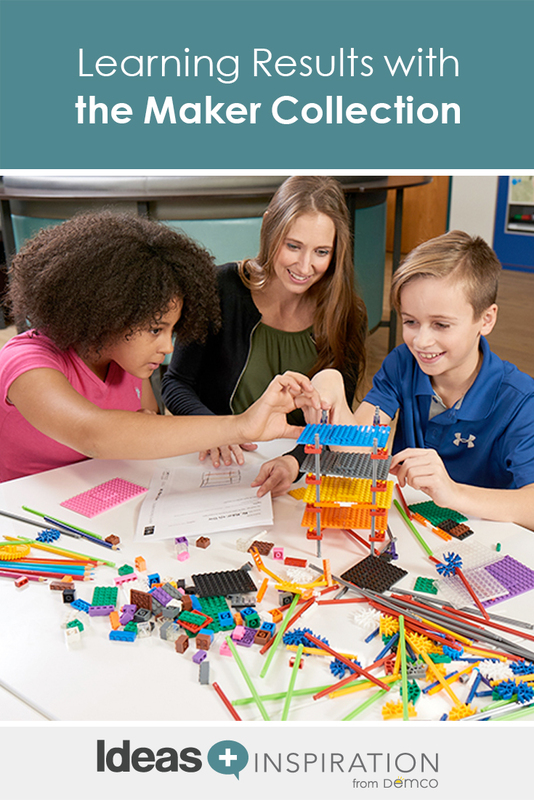 Along with open-ended challenges, the Challenge Guide provides lesson ideas and prompts so that students can engage with maker tools in new and different ways. It serves as a great resource for educators and librarians who are just getting started with making, as well as those who are more experienced with making and are looking for some fresh ideas. Not every challenge will be the right match for your students. Choose tasks that will help your students to grow in their maker learning and expand their thinking. Don’t be afraid to combine challenges. Some of the challenges connect together with similar content or resources. Use the lessons flexibly and make connections to your content. The guide can certainly be used as a stand-alone resource, but you will find lots of great connections to math and science content that you are already teaching. When we used the resource in one makerspace, third-grade teacher Kristen Nan chose from various projects and presented each student group with a challenge: create a parade float, design a window-washing device for the 14th floor of a building, or develop a new game. Some students mapped out their plan with a sketch or notes, while others got right to the task. The makerspace became a busy place as groups of young makers gathered to try out the new tools. Small groups selected materials and worked collaboratively throughout the space. One group of students designed a maze for their meeperBOT to move through. Another group tried out Strawbees®, a unique building tool that uses straws and connectors. Another group tinkered with Snap Circuits®, while yet another used K’NEX to address their design challenge. The group members enthusiastically designed and redesigned, working together on their tasks. Our elementary students loved exploring with maker tools — building with Strictly Briks®, engineering with littleBits™, and constructing with Makedo™ — and discovering tools that were new to them. With little facilitation from their teacher, the students persevered through their makerspace activities, thinking creatively about potential solutions and problem-solving with their peers. Get started on your path to creating a culture of makers. Educators can easily support student-driven learning with these curated collections of tools and educator-designed challenges. When introduced to the makerspace activities in the Challenge Guide, students engaged for an extended period of time while focused on their maker challenge. “I was surprised at the way they combined materials, not limiting their solutions to the initial materials they were given. I love when they stretch their imagination in that way,” shared Nan. Another teacher who stopped in to observe commented, “It’s great to see our students collaborating, not only within their own group but among the other groups. They understand that their success can be influenced by the creativity of others!” Problem-solving, collaboration, and creativity are fostered when we present hands-on design challenges to our students that expose them to different open-ended maker experiences. Our students were interested in how things worked and what they could accomplish. This type of maker learning can benefit students in ways that extend beyond the classroom. Students gain important skills and dispositions, such as persistence and flexibility, when they engage in hands-on making in schools and libraries. We expected that students would collaborate, but we were surprised when two groups came together, combining their tasks and their tools to try and solve a problem. We expected students to engage, but we were delighted when reserved students stepped up as leaders in their groups. We expected students to communicate with one another about their work, but we had no idea they would offer innovative ideas and strategies to other groups. One of the most rewarding outcomes was observing the confidence building in our students. As they develop a mindset for making, they are realizing that they can tackle complex challenges. They can work with new materials and use their maker skills to combine materials. 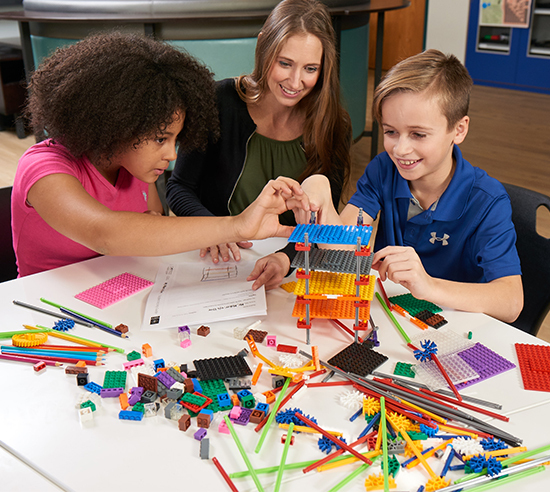 As students become inventors, designers, and engineers, they recognize the interconnected nature of the subjects they are learning. Our students used their knowledge from different content areas and applied it within the makerspace activities. “When you see a student talking about what they learned in science class and applying it to something in the makerspace, it’s an amazing moment!” explained Nan. As educators, when we create the time and space for students to tinker with these types of materials, we help build their confidence and skills. Working through makerspace activities like these enables students to understand the role of makers — to think flexibly and creatively to solve new and different problems. Challenges help them develop the mindset of makers and learn the benefits of failing fast and moving forward. Student makers thrive when their thinking is challenged. Since we’ve provided opportunities for our students to make, we’ve found they’re not afraid to try new things and have found confidence in their abilities to tackle new challenges in the classroom. Maker learning also creates endless possibilities for practicing higher levels of thinking. When our students have a maker mindset, they find joy and pride in their creations. They push through frustrations and obstacles and keep working beyond the “I’m done” stage. They look for ways to extend their learning by combining materials and looking for new opportunities. Whether making in response to a specific task or just exploring the materials on their own, students are enthusiastic when educators give them opportunities to engage in hands-on makerspace activities. As a connected educator and established school and district leader, Dr. Jacie Maslyk has served as a teacher, coach, principal, curriculum director and assistant superintendent. She has presented at the state, national and international levels, including FETC, ILA and NAESP. An invited keynote speaker, Dr. Maslyk also consults with school districts looking to implement innovative practices in their schools. A published author, Dr. Maslyk has written articles on the maker movement, STEAM education, instructional technology, leadership and literacy. In 2015 she received the Frank S. Manchester Award for excellence in journalism. She is the author of STEAM Makers: Fostering Creativity and Innovation in the Elementary Classroom, as well as a chapter in the upcoming EduMatch Publishing book on makerspaces. Dr. Maslyk is currently writing a book on unlocking creativity in the classroom.